Need to get out of the rotisserie chicken rut? Kicking the mundane meal habit calls for a healthy repertoire of recipes and the best ones require a single pan. 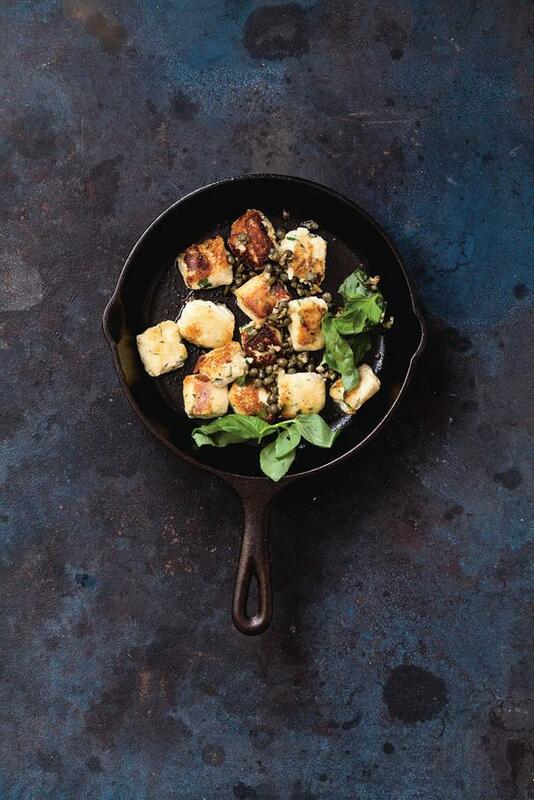 Skillet, a new cookbook by Anna Helm Baxter boasts over 70 scrumptious one-pan recipes, each complete with both ingredients and finished dishes beautifully photographed in large format. From Vegetarian dishes (Spanakopita Pie) and Fish and Seafood meals (Israeli Couscous Paella) to Meat and Chicken (Roasted Coq au Vin Style Chicken) and Pasta (Deconstructed Lasagne), you'll find quick and delicious meals for any night of the week. She even includes a chapter on decadent Desserts (Pear Tarte Tatin or Gooey Brownies, anyone?). 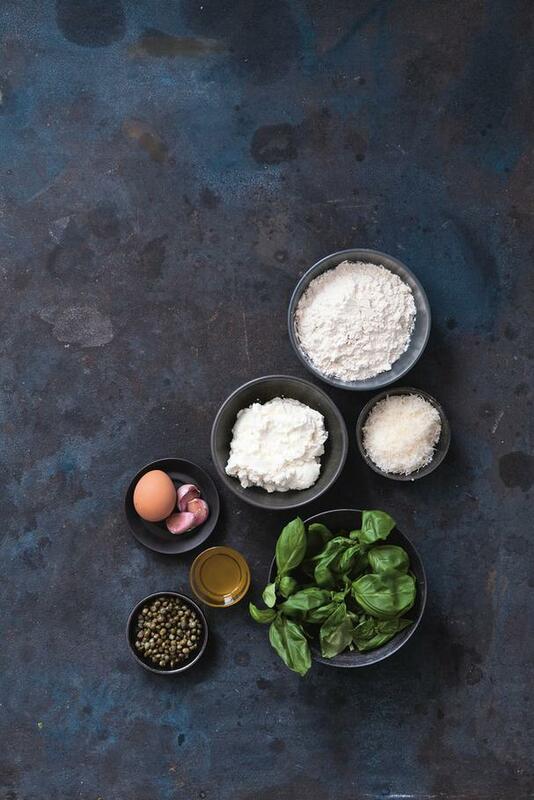 The following recipe is for light and tender Fried Ricotta Dumplings with a Garlic Caper sauce. These heavenly little pillows, delicately seasoned with Parmesan and fresh basil, are super simple to make, yet the recipe does require the dumpling dough to rest in the freezer for 4 hours, so give yourself time. Once the dumplings are sufficiently chilled, preparing this dish is easy peasy. These sublimely delicious dumplings will melt in your mouth! (Note: substitute with gluten-free flour if necessary). Combine both cheeses, the egg, chopped basil and ½ teaspoon pepper in a bowl. Sift over 65 g (2 ¼ oz) flour and gently mix. Transfer to a floured surface, sift over the remaining flour and knead to make a soft dough. Divide into four pieces and roll each piece into a long rope about 2 cm (¾ in) thick. Cut into 3 cm (1 ¼ in) pieces and transfer to a parchment paper-lined baking sheet. Freeze for at least 4 hours until solid. Heat a large cast-iron skillet over medium heat, add 1 tablespoon oil and cook the capers and garlic until light golden brown. Scrape into the bowl. Return the pan to the heat. Working in two batches, heat 1 tablespoon oil at a time and cook the frozen dumplings for 2 minutes per side until golden brown. Top with the caper mixture, reserved basil and drizzle with oil. 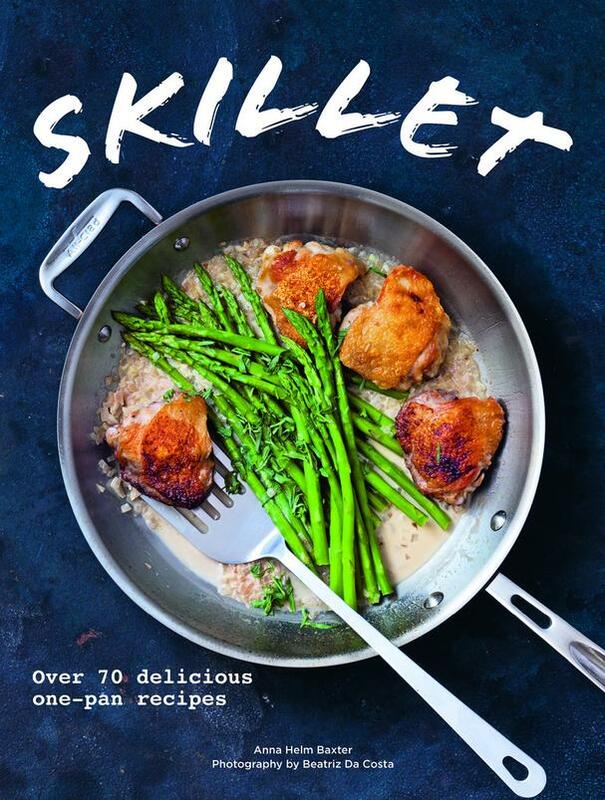 Recipe excerpted with permission from Skillet by Anna Helm-Baxter, published by Hardie Grant Books October 2018, RRP $19.99 hardcover.